A dementia cure is still out of reach, but a range of dementia medications and treatment approaches are available to help relieve troubling symptoms. 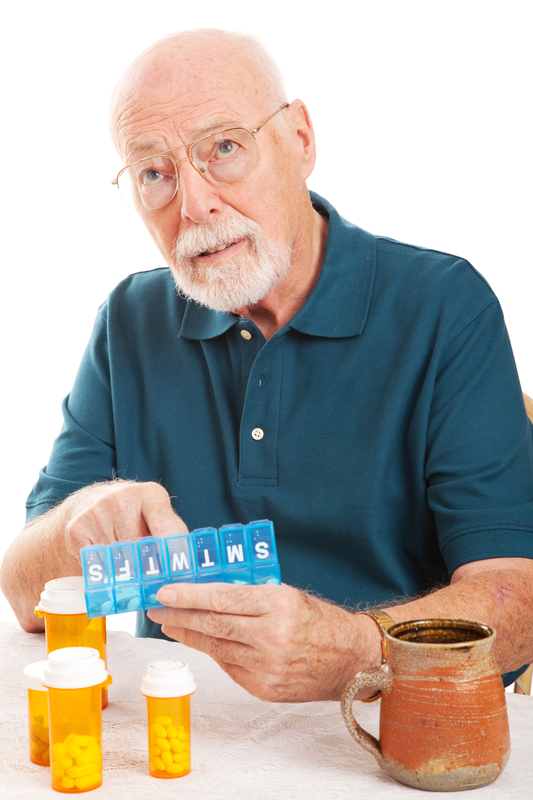 Alzheimer dementia medications are available that can help relieve some of the most troubling symptoms of the disease. Alzheimer’s disease treatment is, in many respects, still a question in search of a definitive answer. No Alzheimer medication can halt the forward progress of the disease or prevent its ultimate devastation on the lives of those who have it. Yet Alzheimer dementia medications are available that can help relieve some of the most troubling symptoms of the disease, and make life easier for both those with the condition and their caregivers. Meanwhile, researchers continue to search for more effective medications that may offer even greater relief—and one day possibly—an Alzheimer’s cure. Drugs used to treat Alzheimer’s can be divided into two categories. 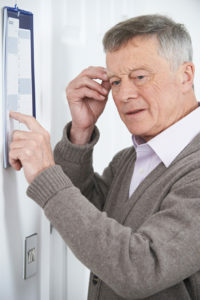 One category treats dementia symptoms, such as loss of memory, language, and other cognitive skills, while the other addresses agitation and other behavioral issues. Dementia medications designed to address the cognitive symptoms of Alzheimer’s include the following. Cholinesterase inhibitors boost levels of a brain chemical called acetylcholine, a neurotransmitter essential for proper memory function that is reduced in people with Alzheimer’s disease. All of the drugs in this class appear to be about equally effective at improving cognition and ability to function in people with mild to moderate AD. Only one cholinesterase inhibitor, donepezil (Aricept), is also approved for use in severe AD. Cholinesterase inhibitors may also slow the progression of mild-to-moderate Alzheimer’s in about half the people who take them. Donepezil (Aricept): When taken once a day, this drug can help with memory and other daily tasks. Rivastigmine (Exelon) can be taken twice daily by mouth, or applied once a day in patch form. The patch is associated with fewer side effects than the oral form, and it can help patients who have trouble swallowing. Galantamine (Razadyne): This drug has been shown to improve mental function and behavior in patients with Alzheimer’s, as well as in those with a combination of Alzheimer’s and vascular dementias. An extended-release version can be taken just once a day. Another drug in the realm of dementia medications, memantine (Namenda)—officially called an NMDA (N-methyl-D-aspartate receptor antagonist—is approved to help with memory, attention, reason, language, and other impairments related to Alzheimer’s. Memantine (Named) treats moderate-to-severe Alzheimer’s. This drug regulates the action of a chemical messenger in the brain called glutamate, which in excess can damage nerve cells. When used alone or together with donepezil (and possibly other cholinesterase inhibitors), memantine can delay Alzheimer’s progression and improve cognitive function in some patients. The most common side effects are constipation, drowsiness, dizziness, and headache. Behavioral and psychiatric symptoms can be especially troublesome for people with Alzheimer’s disease—and for their caregivers. Symptoms such as anxiety, agitation, hallucinations, delusions, aggression, hostility, and uncooperativeness are among the biggest reasons why people with Alzheimer’s are institutionalized. Although these medications also can contribute to memory loss, older adults with AD and symptoms of depression who are continuously treated with antidepressants may have less cognitive decline than those whose depression is not treated or is treated only intermittently. Doctors also use a class of medicines called anxiolytics to address symptoms like anxiety, restlessness, and disruptive behavior. However, some research associates higher mortality with the use of these drugs in dementia patients. Antipsychotic Medications: Symptoms such as aggression, hostility, anger, hallucinations, and delusions can be so distressing that many doctors prescribe antipsychotic medications in an effort to alleviate them. Yet in recent years, studies have called into question the value, and safety, of antipsychotic use in people with dementia, finding evidence that those taking antipsychotic drugs were significantly more likely to die. The risk of death was found to increase as the drug dose increased. Although many doctors will immediately write prescriptions for drugs like antipsychotics and antidepressants to address behavioral symptoms, using non-drug approaches that reflect the specific circumstances and characteristics of the person with dementia are just as effective, if not more so. Avoiding potentially upsetting situations: Prevent agitation by anticipating and resolving factors—such as boredom, excessive stimulation, or pain—that tend to cause disruptive behaviors. Giving in, when appropriate: Allow rather than restrict certain behaviors, provided they don’t complicate caregiving or pose a risk to the person with dementia or others. For example, if the person wants to select his own wardrobe, let him—even if it results in odd clothing combinations. Responding flexibly: Allow for changes in routine and environment to help keep the person calm. For example, if the person hates broccoli, replace it with an equally healthy vegetable. If these basic measures do not work to control agitation, consider seeking professional help. A health care provider may recommend alternatives to riskier antipsychotic drugs that have been shown to help soothe some agitated individuals. If severe behavioral problems, such as hallucinations, delusions or aggression, don’t respond to other therapies, it may be necessary to prescribe antipsychotic drugs in the short term until other, less risky strategies can be found. abilify, acetylcholine, alzheimer, alzheimer s disease treatment, antidepressants, antipsychotic medications, anxiety, aricept, aripiprazole, ativan, brain, celexa, cholinesterase inhibitors, citalopram, cognitive decline, cognitive function, cognitive symptoms, constipation, dementia, dementia medications, dementia symptoms, depression, desyrel, dizziness, donepezil, exelon, fluoxetine, galantamine, health, improve cognitive function, loss of memory, memory, memory loss, mortality, namenda, neurotransmitter, olanzapine, pain, paxil, quetiapine, razadyne, risperidone, rivastigmine, selective serotonin reuptake inhibitors, seroquel, serotonin, serotonin reuptake, serotonin reuptake inhibitors, sertraline, side effects, symptoms of alzheimer s, symptoms of depression, trazodone, trouble swallowing, zoloft, zyprexa.